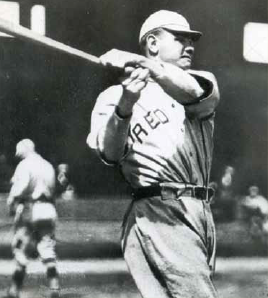 wmtc: babe ruth was not a fat red sox: thoughts on historical fiction arising from dennis lehane's "the given day"
Great review---not only for the points about Babe Ruth, but for the more general points about historical fiction. I often love historical fiction, but I also know it's often unreliable as history. I agree that such writers have a responsibility to be as accurate about the actual facts as possible. Thanks, Amy. I'm glad I managed to articulate something about the problem with the fat Babe Ruth, after it drove me nuts!